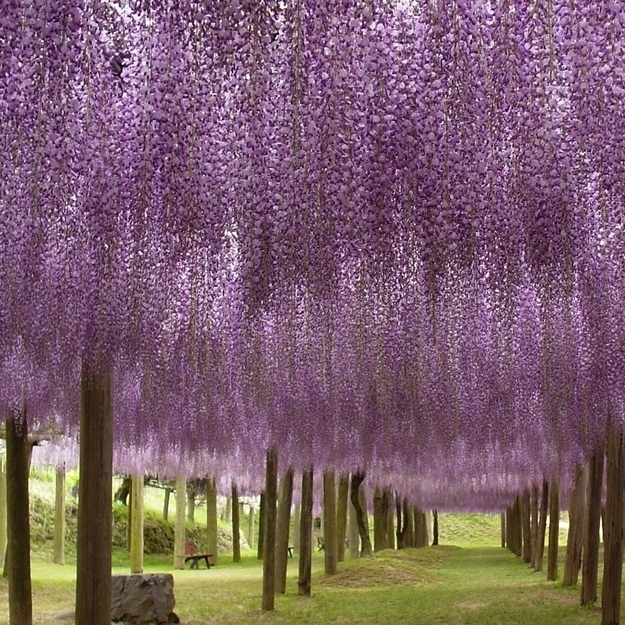 In my childhood I saw a film 'The greatest show on the earth,' the memory of which I have not been able to erase from my memory. 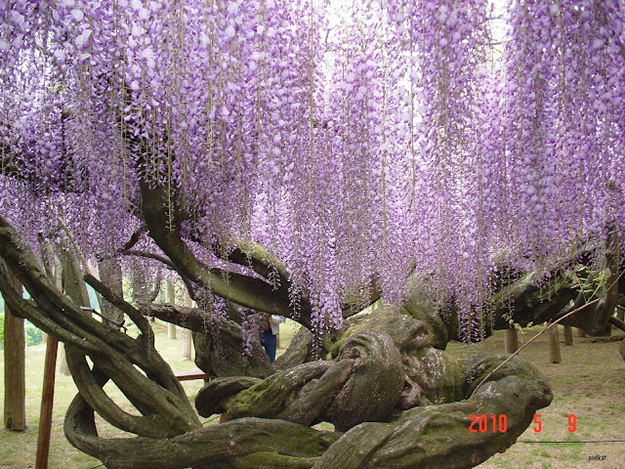 But that was fiction and just a couple hours of entertainment, though with a life time nostalgia. 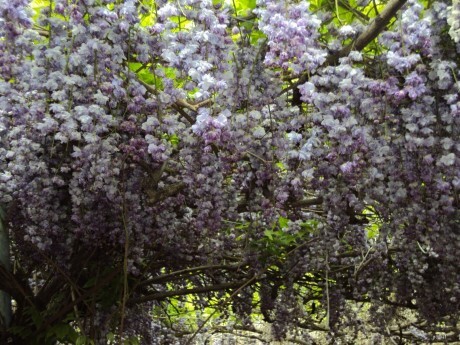 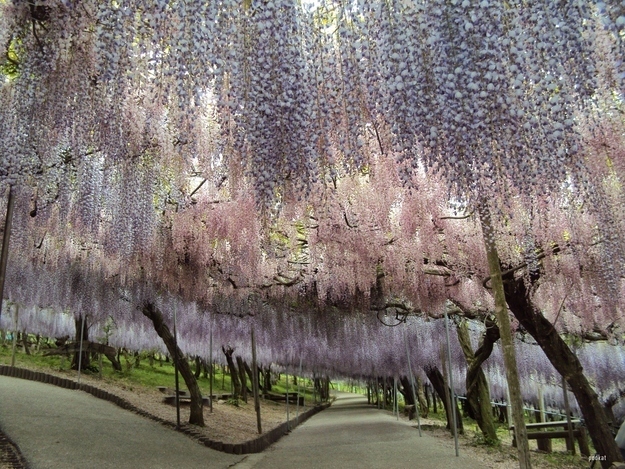 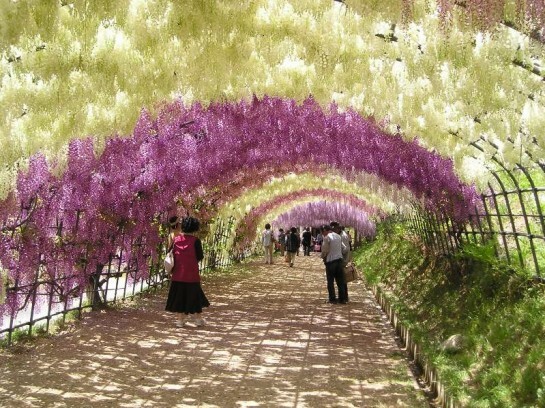 But those who have been to the the Wisteria Tunnel at Kawachi Fuji Gardens, in Kitakyushu, Japan would not only carry the nostalgia, but the fragrance too in their memory lane for as long as the live. 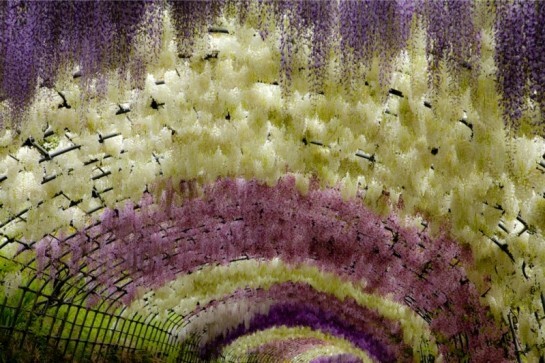 When I first saw the photos of Wisteria Tunnel, I took these for paintings, but then it dawned on me that I was seeing something natural, very aesthetically laid with countless flowers of different hues and fragrance, giving one a rare sight of one's life. 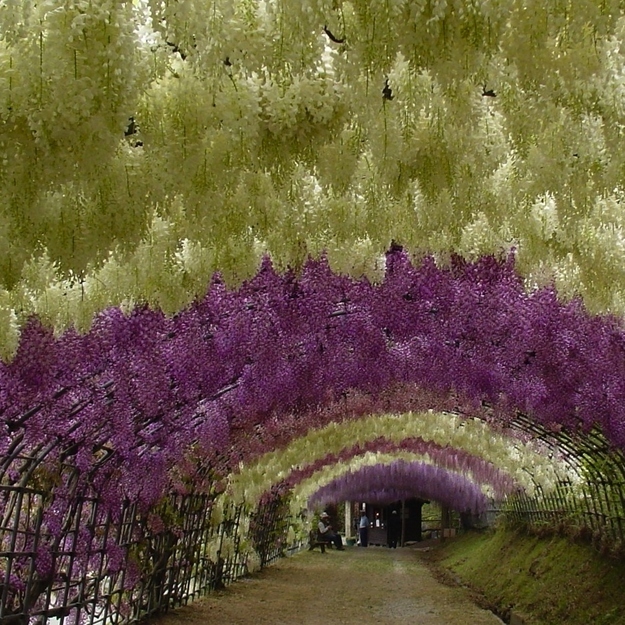 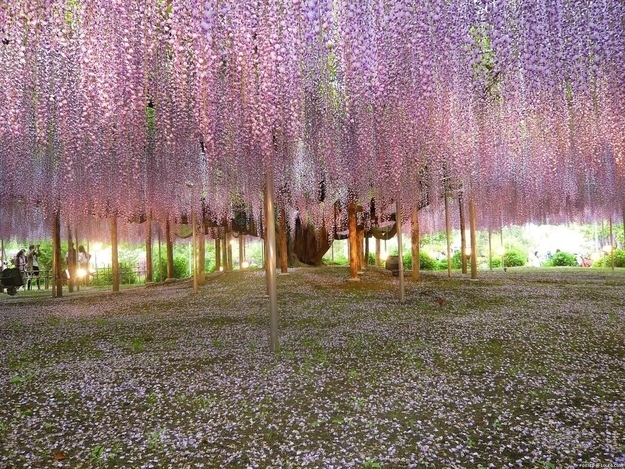 The multicoloured flowers hang artistically overhead and sideways when one passes through the densely flowered tunnel of the Wisteria at Kawachi Fuji Gardens. 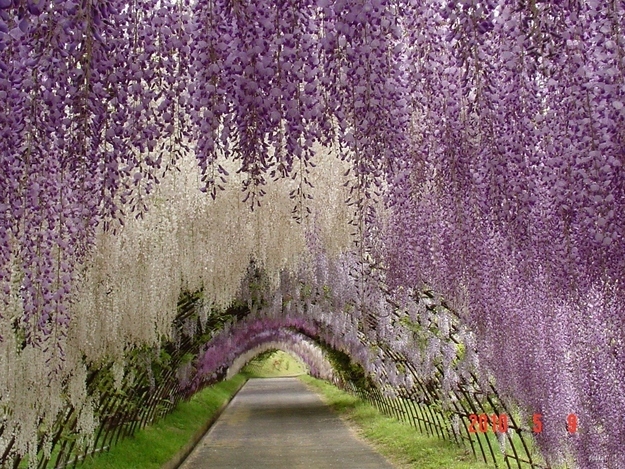 And the fragrance of these flowers is so rich and awe inspiring that one doesn't want the tunnel to end or even to leave the gardens after the tour is over. 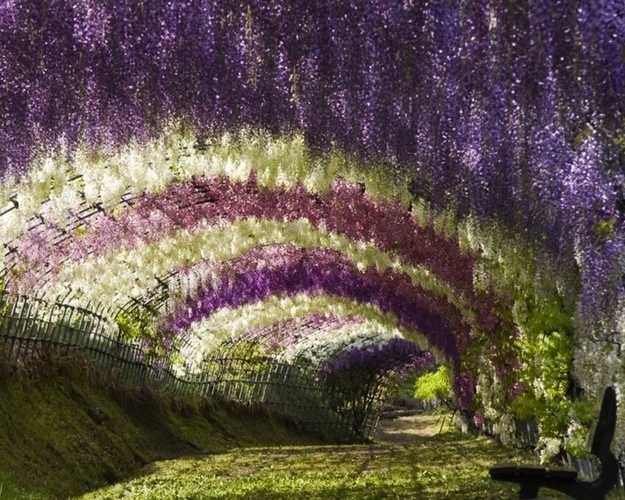 I have not been to the Wisteria Tunnel at Kawachi Fuji Gardens, but it would be my wish to be there somehow and see this heavenly garden and preserve it beautiful landscape in my memory lane forever.